The latest numbers show that there are over 500,000 spinal surgeries each year in the US. Although sometimes it's necessary to have back surgery, the fact is that if you can prevent this type of invasive procedure, you're often better off. Select Health and Wellness is here to make sure that patients in Jacksonville and Fleming Island, FL have a healthy, non-surgical option for back pain. We've helped many patients heal from back pain without the need for surgery. There are many reasons to avoid unnecessary medical procedures: Surgeries often result in a longer recovery time and additional complications, neither of which is an acceptable scenario. Luckily, as one medical study has found, chiropractic adjustments may actually keep you out of the operating room entirely. In this paper, about 1,900 workers with back injuries were assessed over a three year period. When the workers first sought care with a surgeon, over 42 percent wound up having back surgery. For those who saw only a chiropractor, only 1.5 percent had surgery! These findings indicate that chiropractic care can help you heal from back pain without surgery. If you live in the Jacksonville and Fleming Island, FL area, Select Health and Wellness can probably help you with your back pain. Give our office a call today at (904) 425-9060 for more information or an appointment. 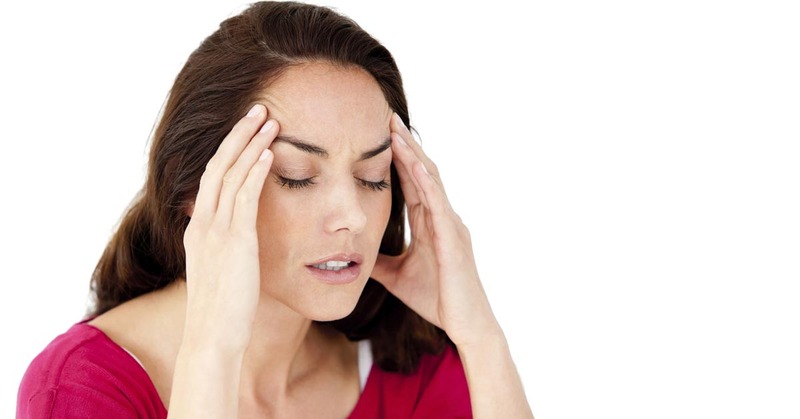 Many people suffer with headache pain, and tension headaches are a common problem in our busy world. Postural problems and stress are common sources of tension headache, and ones that Select Health and Wellness and the team here in our Jacksonville and Fleming Island, FL chiropractic office have a lot of experience in treating. The scientific literature confirms our findings: A 2016 study from Spain managed a group of 76 men and women with chronic tension headaches. The participants were divided into four treatment groups: 19 patients were treated with suboccipital inhibition (the doctor presses on the tight tissues at the top of the spine); 19 with chiropractic adjustments; 19 with both adjustments and suboccipital inhibition; and 19 received no treatment. The researchers found that the spinal adjustments were helpful at relieving pain, and that the best results were found when spinal adjustments were combined with the suboccipital inhibition. When we get stressed, the nerves and tissues in the neck can be disrupted, leading to pain. Chiropractic works by getting rid of these strains and restoring the normal nerve function to the tissues. If you live in Jacksonville and Fleming Island, FL and are suffering from any kind of headache, we're here to help you get relief. Call Select Health and Wellness today at (904) 425-9060 for an appointment or more information. We help a large number of patients with back pain in our Fleming Island, FL office, and Select Health and Wellness has noticed that quite a few cases of back pain originate in the sacroiliac (SI) joint. 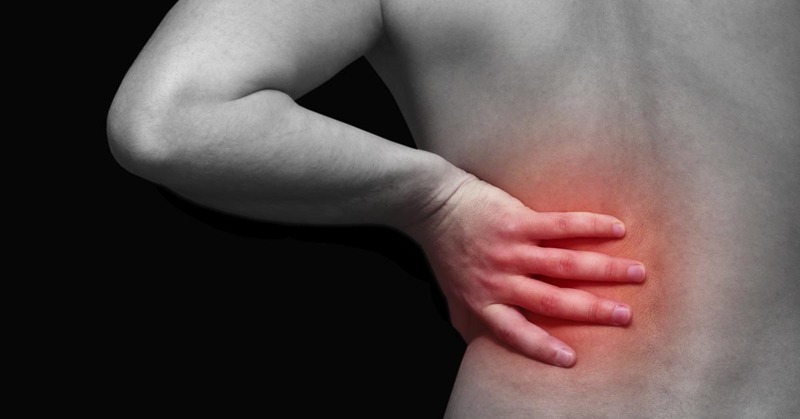 Research shows that around one quarter of all back pain originates in the SI joint, and now fresh research confirms what we have noticed in our office: chiropractic is an effective method for treating this problem. In the study published in the Journal of Bodywork and Movement Therapies, thirty-two women who suffered from sacroiliac joint syndrome were separated into two groups and asked to take part in one of two treatment methods. The first group received a chiropractic adjustment isolated to the sacroiliac joint, and the second group was given an adjustment to the sacroiliac joint and the lumbar spine. Researchers noticed greater improvements in both pain and movement immediately following treatment, two days post-treatment, and 30 days after for the patients who had been given high-velocity low-amplitude manipulation to both the sacroiliac joint and the lumbar spine. This suggests that chiropractic therapy applied to these two areas offers both short term and long term benefits for sacroiliac joint pain sufferers—even after just a single treatment round. So, if you are dealing with sacroiliac joint pain, or have back and leg pain and want to find out if your sacroiliac joint is the cause, a visit to our Fleming Island, FL office could be the first—and best—step towards feeling better. Give our office a call today at (904) 425-9060. When you're trying to support your family, take care of your home, and pay all of your bills on time, every day at work counts. Work injuries can be a huge problem for many people, and we see many of these types of injuries in our Fleming Island, FL office. Select Health and Wellness understands your situation and is here to help. The advantages of chiropractic for work injuries are well-documented. A 2013 research paper involving over 600 adults who were troubled with either back or neck pain found that the men and women who didn't see a chiropractor missed work at twice the rate of those who were seeing a chiropractor. According to the participants in this report, two of the primary factors were that they thought they needed a medical referral for chiropractic care (which is typically no longer true) and they overestimated the costs associated with chiropractic treatment sessions by almost 70 percent. If you live in Fleming Island, FL and you've been injured at work, we can help. Give our office a call today at (904) 425-9060 for an appointment. 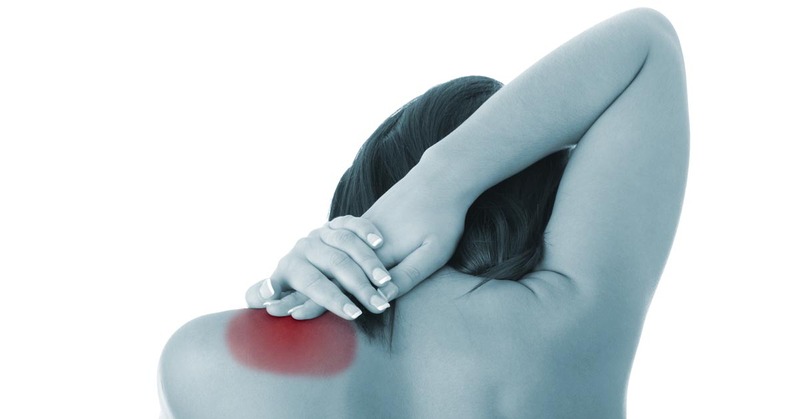 According to experts, around 5 percent of the population will suffer from painful problems like frozen shoulder syndrome at some time in their lives. That makes shoulder-related pain a common problem and one that Select Health and Wellness sees in our Fleming Island, FL office on a regular basis. Generally, this issue is more prevalent for people in their 40s, 50s, and 60s, and it tends to affect women more frequently than men. While ice, heat, and gentle stretches can sometimes help alleviate the discomfort, so too can chiropractic. For instance, one study released in the Journal of Chiropractic Medicine looked at 50 people with frozen shoulder who received chiropractic care. The length of care varied from 11 days to 51 days, with 28 days being the average. Only one patient reported an improvement of 50 percent or less, so reports like this demonstrate just how effective chiropractic can be when it comes to decreasing shoulder pain and increasing quality of life. Let Select Health and Wellness help you ease your pain by contacting our Fleming Island, FL office and scheduling your appointment today. In our Fleming Island, FL practice, it's common for us to see patients suffering with sciatica pain, and Select Health and Wellness has helped many of these people recover with chiropractic. What makes chiropractic so useful to those who suffer with this condition? First off, it reduces their healing time and a Norwegian medical study confirms it. In the study, which took place in a Norwegian hospital's orthopedic division, the authors looked at 44 patients who presented with sudden low back pain that was identified as acute sciatica. The participants were all treated by a chiropractor, with the mean follow-up being two years after treatment. The authors found that all but two patients went back to their jobs after receiving chiropractic adjustments, which is a 95% success rate. Furthermore, the average amount of time that the individuals spent off work "was reduced by two thirds as compared with that associated with conventional medical treatment." Considering that the Bureau of Labor Statistics reports that 170,450 days of work were missed in 2013 due to employees dealing with back or spine-related issues, that is about 112,500 work days that could potentially be recovered each and every year solely by receiving chiropractic care. Not only would that increase work productivity, but it would also decrease costs to businesses and workers from lost work. If you live in Fleming Island, FL and you suffer from sciatic pain, Select Health and Wellness is here to assist. Give us a call at (904) 425-9060 and we'll work with you to find the root cause of your sciatic pain and get you back on the road to health. While many women automatically assume that back pain and pregnancy go hand in hand, they are often pleasantly surprised when they learn that this is not necessarily the case. In fact, chiropractic adjustments can often help reduce persistant back pain for pregnant women by as much as 85%. We've worked with many pregnant women suffering from back pain in our Fleming Island, FL office. One piece of research published in Chiropractic & Manual Therapies involved 115 women who were pregnant (most of which were in their third trimester) and reported pain in their low back, pelvic area, or both. Data was gathered prior to the study, as well as one week, one month, three months, and one year after treatment commenced. At each follow-up, the participants were asked to rate their level of pain based on a 7-point scale to determine whether it was better, worse, or stayed the same. The results? More than half reported that their pain was better after one week of chiropractic treatment. After one month, that amount jumped up to 70 percent, climbing even more to 85 percent showing improvement at the three month mark. Improvement was still reported at six months post-treatment, which was generally after delivery, and continued to the final data collection one year after treatment commenced. There are also many additional benefits of chiropractic care during pregnancy. Not only does it effectively ease back pain, but it does it in a completely natural and non-invasive way. This means that you don't have to worry about taking any drugs or undergoing any type of treatment that could potentially harm your unborn child. Additionally, it makes your time spent carrying your child more pleasant. When you're not sidetracked with pain, you can enjoy the experience even more as you prepare your home and your life for all of the fun and exciting changes that lie ahead. You don't have to suffer from back pain during pregnancy. We're here in Fleming Island, FL to help with natural chiropractic care. Give us a call today at (904) 425-9060 to make an appointment. Neck and headache pain are common problems that affect millions of men and women around the world. If you are dealing with this type of condition, you're not alone. The good news is that chiropractic care is a great way to not only treat these common problems, but also help prevent future episodes. For many years, patients with neck and headache pain in Fleming Island, FL have been helped by the chiropractic adjustments of Select Health and Wellness. Our experience is backed up by a recent review done in Canada that found that non-invasive, non-drug solutions are the best choice for neck and headache pain. The report looked at 15 studies from 1990 to 2015 and found that conservative treatment comprised of chiropractic adjustments, exercises, and stretches was advisable before turning to drugs or more invasive procedures. If you're suffering with neck pain or headaches, Select Health and Wellness and our staff are here to help you feel better. Give our Fleming Island, FL office a call today at (904) 425-9060 for an appointment today. With the Migraine Research Foundation reporting that migraines affect 38 million people in the U.S. (more than diabetes and asthma put together), it's no surprise that Select Health and Wellness treats a lot of headache sufferers in our Fleming Island, FL office. While some folks choose to relieve migraine pain with drugs, chiropractic care is a terrific, all-natural approach that usually provides positive results. For instance, one study published in the Journal of Manipulative and Physiological Therapeutics involved 127 people ranging in age from 10 to 70-years-old who suffered with regular (at least monthly) migraines. Each subject engaged in up to 16 chiropractic sessions. The patients noted that their headache frequency, duration, and disability two months before the study began, during the duration of the sessions (which was two months), and two months post-treatment. What the researchers discovered is that chiropractic reduced the frequency, duration, and disability of the migraine pain when compared with the control group who didn't receive chiropractic. Furthermore, this allowed them to take less medication for the pain, providing them an all-natural answer for a chronic problem. Another article found that a combination of chiropractic and neck massage reduced migraine pain almost 68%. If you have migraine headache pain and are looking for help, call Select Health and Wellness today and request an appointment in our Fleming Island, FL chiropractic office. 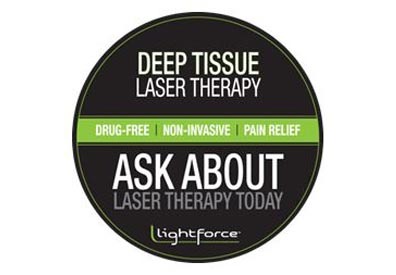 We'll do what we can to help you become pain-free! Advantages such as these have been discovered to be extremely helpful for individuals who suffer with chronic conditions such as arthritis and asthma. Therapeutic massage has also proven advantageous for burn injury patients, people with high blood pressure, and women who suffer from premenstrual syndrome. Even preterm infants have shown benefits with massage therapy as they have better levels of weight gain. To learn more about the massage therapy services we offer in Fleming Island, FL, give our office a call today at (904) 425-9060.